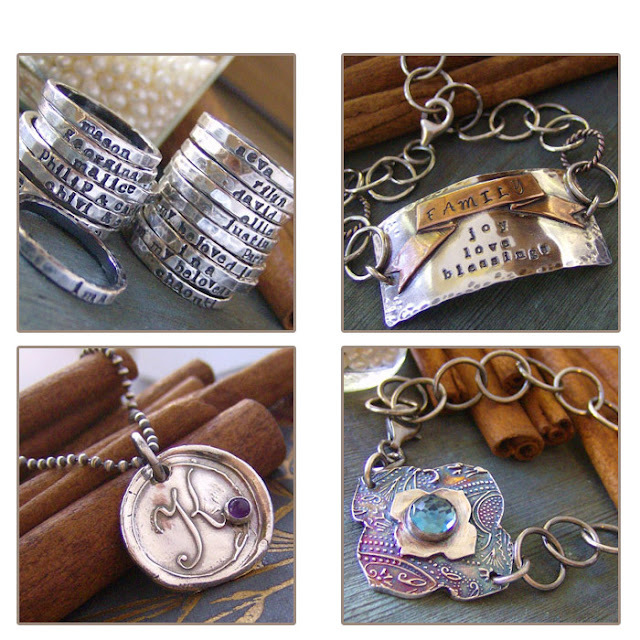 Canela of Cinnamon Sticks Jewelry, is my soul sister! She celebrates her Birthday Tomorrow... Happy Birthday, Canela! Hi! Happy birthday! I'd love to get some of her stack rings. I'd like to win the capture life necklace for my daughter! I follow and tweeted this giveaway! I love all Canela's work but especially all the "capture life" necklaces and ring. I absolutely love the Personalized Gem Stone Stacking rings! I'd totally get 3 of them (one of each of my kids)! I love her "Bloom" necklace! Perfect for Spring! I now am following her on FB! 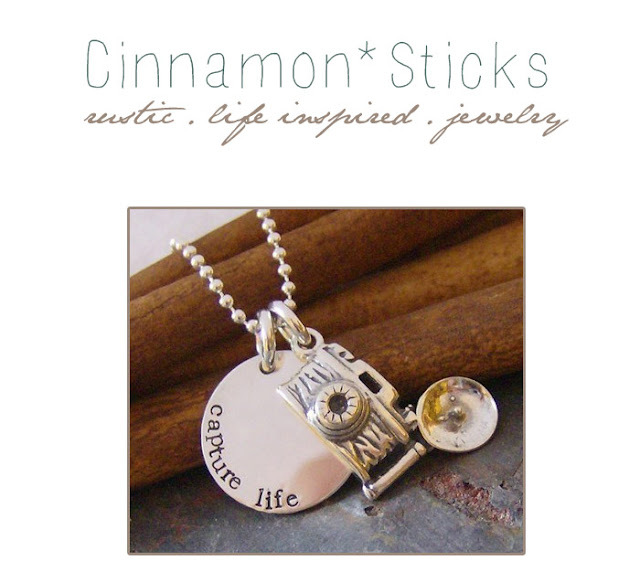 FB Fan of Cinnamon Sticks! 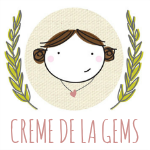 I'm now following her blog too! I liked Cinnamon Sticks on Facebook! I LOVE the necklace with the camera! 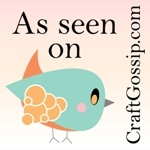 I follow her blog and I am a fan on facebook and follow her on pinterest! It's wonderful that you think of others on your birthday! I adore those Stack Rings !! 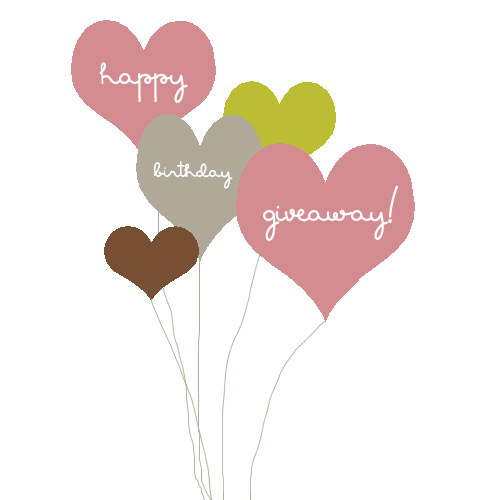 I want to enter to WIN!! I really do love the "capture life" necklace! It's perfect for me since I love photography and am constantly taking photos of my daughter and nature. I also really loved the "vintage initial with enchanted forest print" necklace. It's lovely! I Like cinnamon sticks on Facebook! I Follow cinnamon sticks blog via Google friend connect. I want to enter this giveaway! And I checked out the shop and I really like the bloom necklace. As well as the capture life necklace and the soar necklace. Thanks so much! I liked on facebook. Thanks again! Love the Gem stone eternity ring... hand stamped fine and sterling silver gem stone necklace. I WANT those stackable rings.. I NEED those stackable rings :) You def have a new fan!! LOVE it all! Following Cinnamon Sticks Blog ! Too bad I'm allergic to Cinnamon .. Makes me itch ! But love the blog !! I love the Simple rectangles 3 necklace...I have always wanted one like this! Entry 1 ~ I like the knecklace where you can put your kids names! Beautiful! Entry 2 ~ Following blog! Happy Birthday & thank you!!! My favorite is the vintage letters w/pearl necklace. Just so sweet. I follow Canela on twitter. The simply initial necklace is adorable! Thanks for the giveaway and enter me. What cute items - I love everything. Love the stackable gem stone rings! Love the Layers of Love necklace. Oooooh, I love the `Capture Life`necklace! 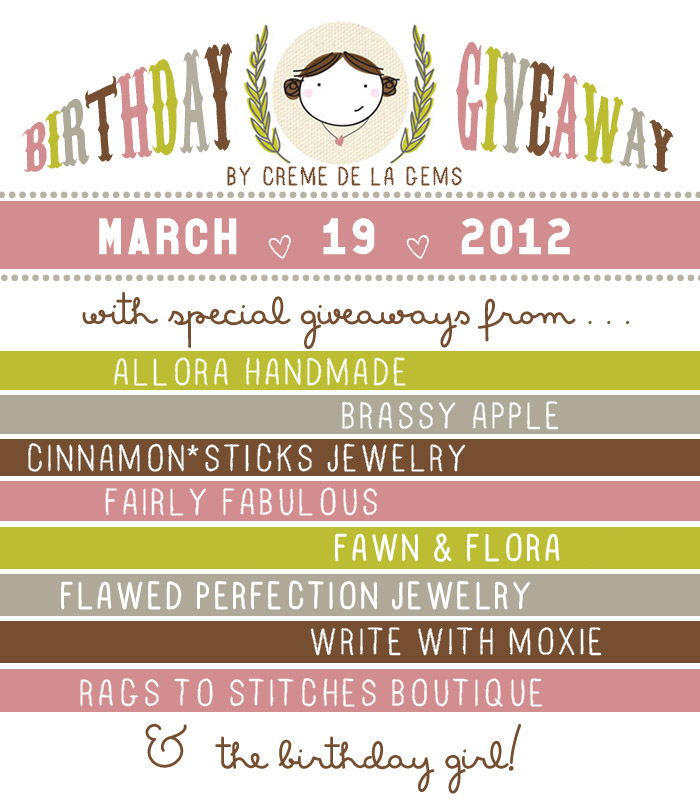 I would really like to win this fabulous piece of jewelery! Oh my goodness! I could not even begin to pick out a favorite! I LOVE a WHOLE BUNCH of your creations! I am following you on Twitter and Tweeted about it.